Dental implants are becoming an increasingly common way of replacing missing teeth. It’s estimated that around 3 million Americans already have dental implants, with this figure rising by 500,000 each year. With this much interest in dental implants, it’s hardly surprising that research and development into this technology are ongoing. Companies search for ever more innovative ways of improving dental implant success rates. Currently, the success rate for a properly planned and placed dental implants is around 95%. Some dentists have rates that are typically higher than this. However, this does mean there is a small risk of implant failure. Sometimes problems can develop with dental implants many years after placement and when everything seemed just fine. There are several reasons why dental implants can fail. Sometimes it can be a mechanical failure, where the implant fails to bond with the surrounding bone or is rejected for some reason. But, one of the most common reasons for implant failure is a condition called peri-implantitis. This is an inflammatory condition caused when harmful bacteria in the mouth develops into biofilm which attaches to dental implants. Now, new research carried out in the UK has investigated the effectiveness of a nano-coating to the dental implants which would reduce the risk of infection. What Was Discovered during This Research? For this study, the team created a nano-coating consisting of hydroxyapatite and titanium oxide. This was applied to the surface of titanium alloy implants. This was found to successfully reduce bacterial infection, inhibiting the growth of bacterial biofilm on the surface of implants by 97.5%. The application of this coating had two effects. Firstly, they helped to eradicate bacterial infection while creating a surface that had anti-biofilm properties to support Osseointegration. This is a process where the dental implant gradually integrates with the surrounding bone. This helped to accelerate bone healing. At the moment, there aren’t any guidelines in place for using this type of nano-technology in a medical or dental application. The next step is to demonstrate the effectiveness of this type of coating in animals or eventually in humans. So, what would this mean for patients considering dental implants to replace missing teeth? It should be very good news because this type of coating on dental implants could help increase patient satisfaction and comfort. Currently, strategies to help prevent infection in dental implants are focused on using antimicrobial coatings of chlorhexidine or antibiotics. While these approaches can work, they are only effective in the shorter term and there are concerns about using chlorhexidine. The use of a nano-coating of silver hydroxyapatite could prove to be a more effective approach in the longer term. This type of technology is obviously still in the research stage, so what can you do if you need dental implants right now? There are simple strategies that you can follow to make sure your dental implant treatment has the greatest chance of success. You’ll find a few simple steps outlined below. Your treatment will not be successful unless you choose the right dental implant dentist to place your implants. These days an increasing number of general dentists are offering implant treatment but many may have limited experience in placing dental implants. While treatment may be perfectly adequate it might not be the best available. This is especially if you have more complicated dental needs or require multiple dental implants. Choosing a dentist who specializes in placing implants helps increase the odds of having a successful treatment. Ideally, your chosen dentist should routinely place dental implants. He/she will be familiar with using several different implant systems to fully accommodate your needs. A good dental implant dentist will probably use implant components from one of the top implant companies. They will choose that instead of choosing cheaper generic dental implants. Although generic implants can be perfectly okay, they haven’t undergone anything. Anything like the research and development carried out by the major dental implant companies so their long-term prognosis is unproven. Sometimes implant components need replacing which is fine if you can go back to your original dental implant dentist. If you have moved out of the area or are simply living in a different country or away from home, it’s much trickier to get replacements. This is if you don’t have dental implants from one of the major companies. Many dentists will be reluctant to touch dental implants when they are unsure of the manufacturer used. 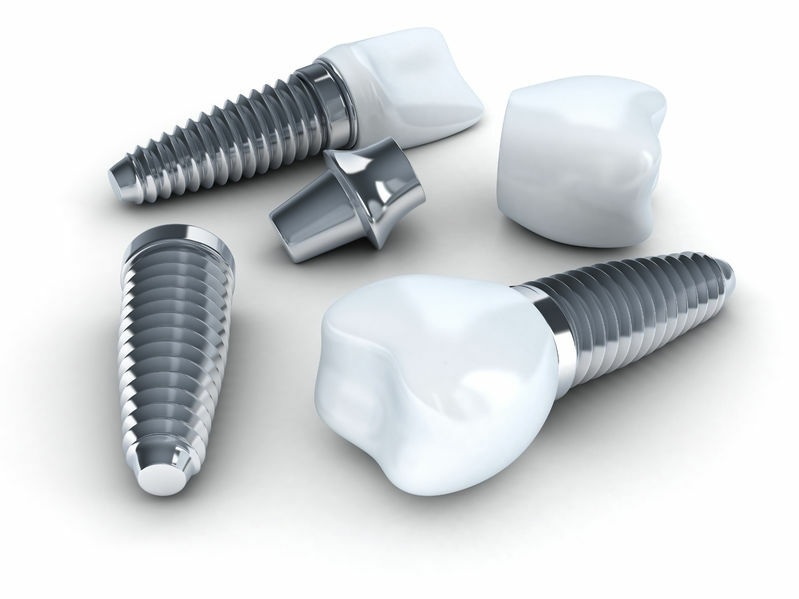 Your chosen dental implant dentist should also use computer guided implant surgery as this is one of the most effective ways to place dental implants. It not only ensures that your implants will be situated in the best possible positions but helps to ensure that your implant treatment will be smoother and more comfortable. With computer guided surgery all the implant planning is done in advance so the actual surgery time should be quicker and smoother. Once your implants are in place your implant surgeon will give you lots of detailed advice on how to look after the implant sites as they heal. It’s vital to follow these instructions as closely as possible to ensure a smoother and quicker healing process. You will be shown how to clean around the implant sites as good oral hygiene is vital. This will help your implants to heal more quickly so there is a much better chance of successful treatment. Implant failure can occur many years after a dental implant was originally placed. There is a good chance you will develop peri-implantitis if you fail to keep your dental implants thoroughly clean. That bacterial biofilm that can develop over the surface of dental implants can eventually lead to implant failure. This is because peri-implantitis is very like gum disease, a bacterial infection that may well have originally caused your tooth loss. Although nanotechnology may not yet be available for dental implants, with a bit of care you can still enjoy a successful treatment, hopefully for many years to come.